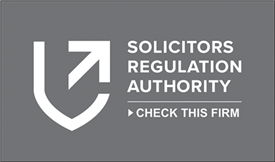 QualitySolicitors Brett Holt is modern and progressive firm and we are proud to work for individuals and businesses in Surrey offering excellent customer service. We understand that people think of solicitors as over complicating matters, charging high fees, taking a long time and being very formal. At QualitySolicitors Brett Holt we're here to prove to you that solicitors have moved on from this. Based locally in Worcester Park, Stoneleigh and Tolworth and Surbiton our solicitors are easily contactable and if you need to come in and see us we can arrange an appointment at a time to suit you. By using our local solicitors you will have a solicitor who will be dealing with your matter all the way through and you will not be passed around the office. We understand that legal matters are complicated so we make them straightforward and use plain and simple English - not legal jargon. And no one likes nasty surprises, we promise 'no hidden fees'. We will tell you our fees and all the other fees right at the beginning, so you know what to expect as we progress along your matter. We believe moving your matter along as quickly and as smoothly as possible. We will tell you right at the beginning of your matter how long we would estimate your matter would last so you know what to expect. At QualitySolicitors Brett Holt you will find all of our staff helpful, approachable and hard working. We are here to help you, we believe in giving straightforward advice based on our expert knowledge given in a friendly and professional manner. QualitySolicitors Brett Holt is part of the leading household name for legal services in the UK. If you need solicitors in Worcester Park, Stoneleigh, Tolworth or Surbiton. Your trusted local name, QualitySolicitors Brett Holt - for whatever life may bring.